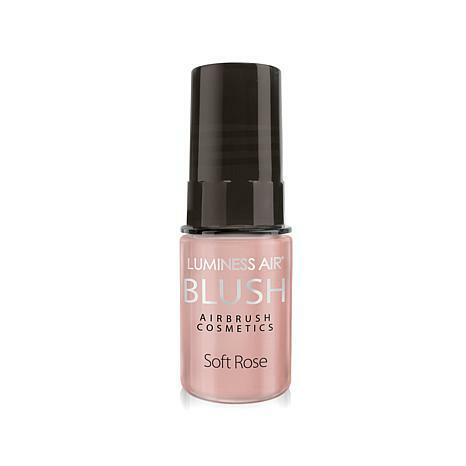 Get that airbrushed, natural-looking glow with Luminess Air Airbrush Blush. Spray on this .25 oz. liquid airbrush blush pigment with your Luminess Air Beauty Airbrush System for a naturally soft, youthful-looking glow in various hues. It's not like those powdery, opaque blushes that settle into your pores, but instead helps provide a beautifully flawless, fresh face. Ingredients: Pure Water, Minerals (Iron Oxides, Kaolin), Glycerin, Stearic Acid, Phenoxyethanol, Butylene Glycol, Potassium Sorbate, Disodium EDTA, Lecithin, O-Cymen-5-OL, Triethanolamine, Glyceryl Stearate, PEG-100. May Contain Mica, Carmine, D&C Red 30. THIS IS THE PERFECT BLUSH TO GO WITH THE SILK FOUNDATIONS FOR LUMINESS. MY DAUGHTER LOVES IT! 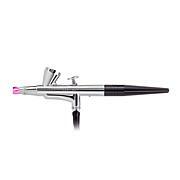 I love Luminess products and the entire air brush system. I like to try the blush in different shades. 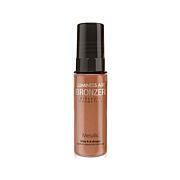 It is worth the money as you only need a few drops and it will cover both cheek bones, accordingly. This blush gives a dewy and fresh new look. It only takes a few drops for the entire look. Very economical.